Today I have a card over on the Hero Arts blog which fits in with their current nature challenge. If you've not seen their challenges before, I highly recommend them. Submitting to Hero Arts challenges led me to create this blog way back in 2009 - it was the kindness of the Hero Arts staff and community that led me to pursue stamping and card making! I am very very very grateful to them!! Anyway… as I was saying, I have created a card with some of their brand new products. The new Succulents set is gorgeous, but when I first saw it, I saw chrysanthemums. So I decided to create a cluster of chrysanthemums for a cheery Hello card. I used my new Gansai Tambi watercolours (anyone interested in a review / comparison of these?? ), added some vellum leaves (using THIS die), crochet thread and a sentiment from the new Fruit set. Have a great day! Bye for now. OH I am falling head over heel for this one!! 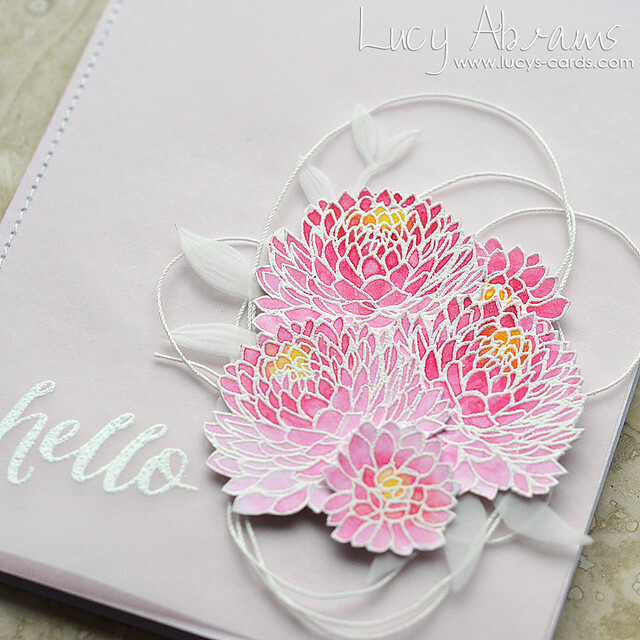 Beautiful watercolours on white embossing, I love it!! absolutely gorgeous card, Lucy - love it!! This is what I love...everyone sees something different and this card is a perfect example. It's just plain stunning. Love the vellum, love the pink, love the flowers. AWESOME! 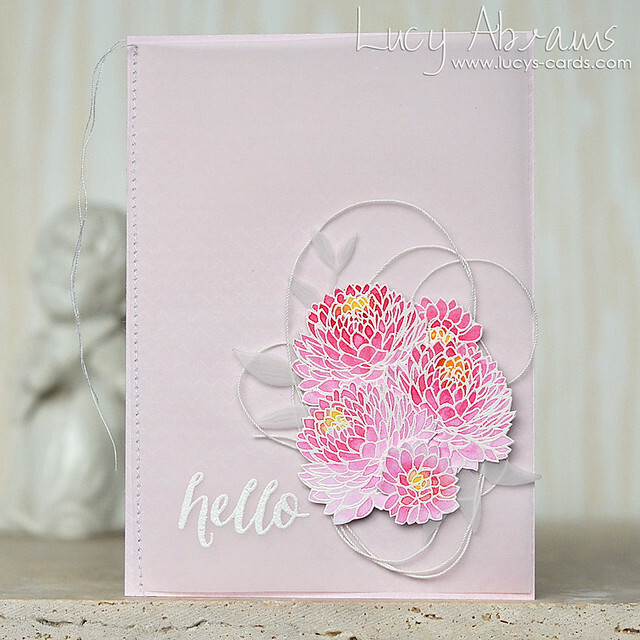 Another gorgeous card Lucy! You are so talented! Just lovely... so delicate and pretty.